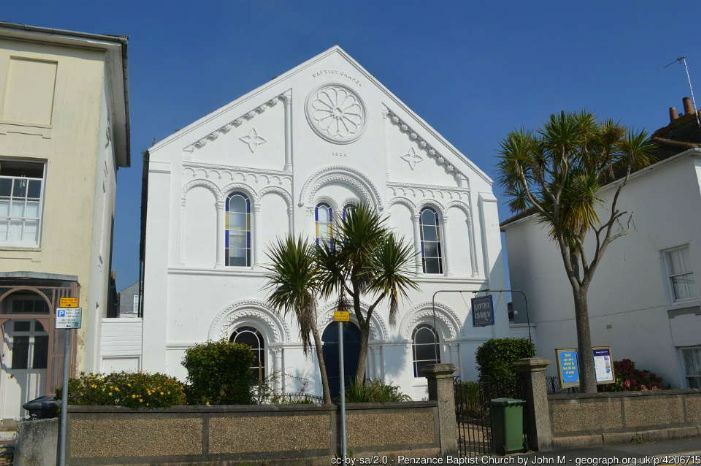 The Wrath of the Lord in Penzance? It’s Sunday evening in Penzance. Things have calmed down since all that excitement about the end of the South African war, and many of the townsfolk are making their way to various places of worship for divine service: for a quiet opportunity to reflect on peaceful times ahead, and to gird up their loins for the coming week. But a couple of shocks are in store. At the Baptist Church, the Reverend Alfred Bird does not look a happy man. To be honest, the congregation perhaps reflect, he hasn’t looked happy for quite a while. But here he is in the pulpit – and what is he saying? He’s saying he has a “painful announcement” to make. A few moments later, the first shock falls upon the ears of the congregation. The Revd. Bird has, so to speak, thrown in the towel. Resigned, this very day. He’s making the best of it, emphasising that there has been no “strife and discord”; no “disagreement”; no “difficulty”. How seriously do various members of the congregation take this assertion? Is it all straight faces, or are there one or two ironic smiles? We will never know. The Reverend Bird gives his reasons as poor health and medical advice. Odd, perhaps, with Penzance so well respected as a health resort. But wait. There’s more. Reverend Bird admits – or perhaps asserts – that he has “a certain type of ministry” which has not been “attractive to the people of the town”. To put it bluntly, converts have been in short supply. But how, he appeals to his congregation, could he “alter the character of his preaching”? Better to head to higher ground, literally and possibly by implication moral; to the mountains of County Kildare, to be specific. All present – pastor, officers and congregation alike – are enjoined to pray that the Lord will send them “a man of His own design” who will have more success in the future. And that very evening, between eight and nine, perhaps as the congregation are walking home, there is a drama of noise and upheaval. People are rushing down to the Promenade, shouting that a motor car has exploded. It turns out to be the gas – a meter attached to the drinking fountain at the bottom of Alexandra Road has blown its cover 30 foot into the air – an iron cover mark you, weighing quarter of a hundredweight. There has been a burst of flame; children endangered. How many of that Baptist congregation, hearing the boom and roar half a mile or so away, seeing the flames, will interpret the sound as the voice of the Lord? Especially when the Cornishman newspaper prints its reports of the two events adjacent to one another? That is one of the many fascinating historical possibilities about which we can only speculate.